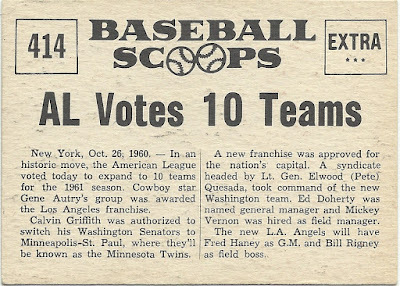 1961 Nu-Card Baseball Scoops was an 80-card set numbered from 401 to 480. 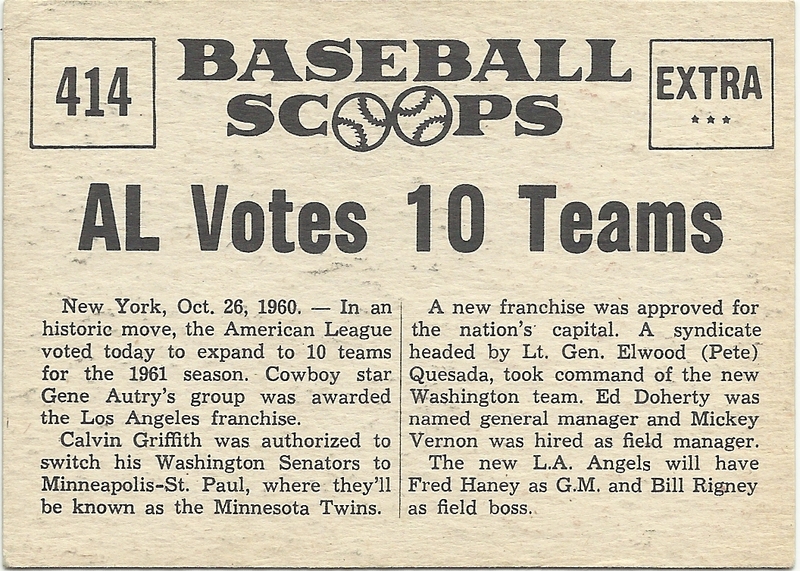 That's weird because the set issued the previous year was numbered 1 to 72. Hmm. No reason is given in my SCBC as to why. Anyhow, they feature news worthy moments in players careers. 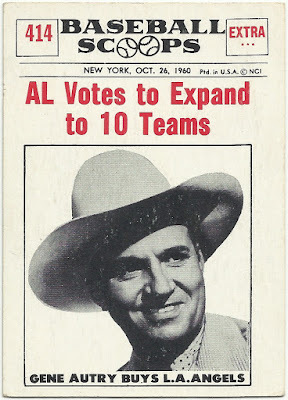 There were no news worthy Angels players as yet, since this was their first season, so Nu-Card elected to highlight Gene Autry and his new team. 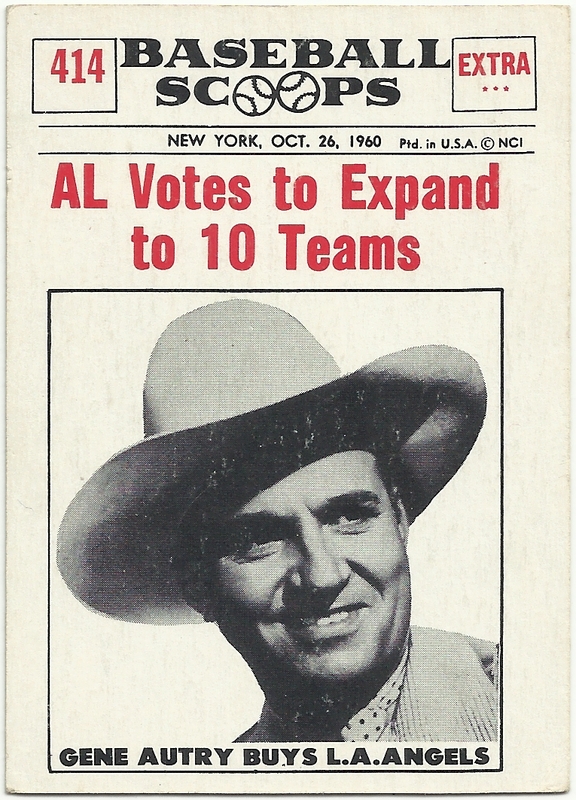 Probably one of very few Gene Autry baseball cards around as well. Always enjoy seeing these Scoops on people's blogs. 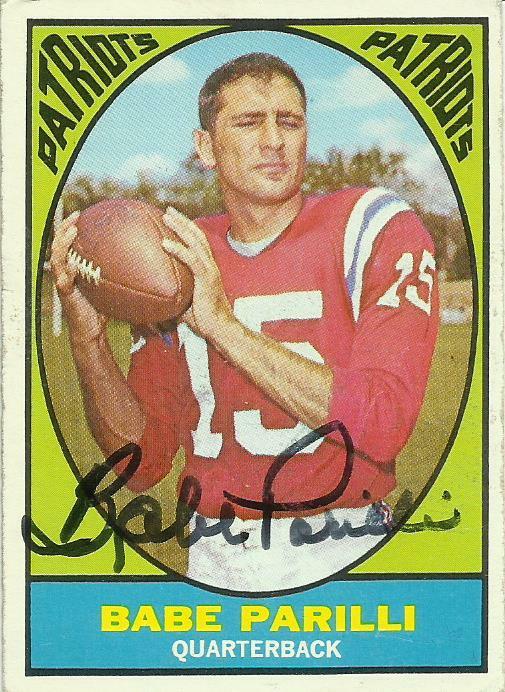 Could this possibly be Autry's rookie card? Of course he had been a star for many years even then. Can you email your address to me at padrographs at live dot com. I have some stuff to mail you. Nice! 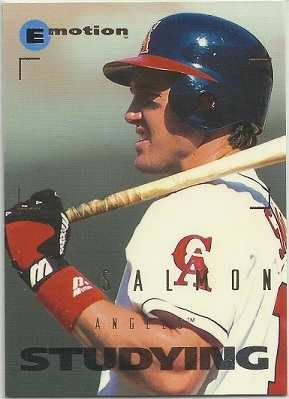 I only have one of these, and mine features an empty dugout. Not nearly as interesting as yours.